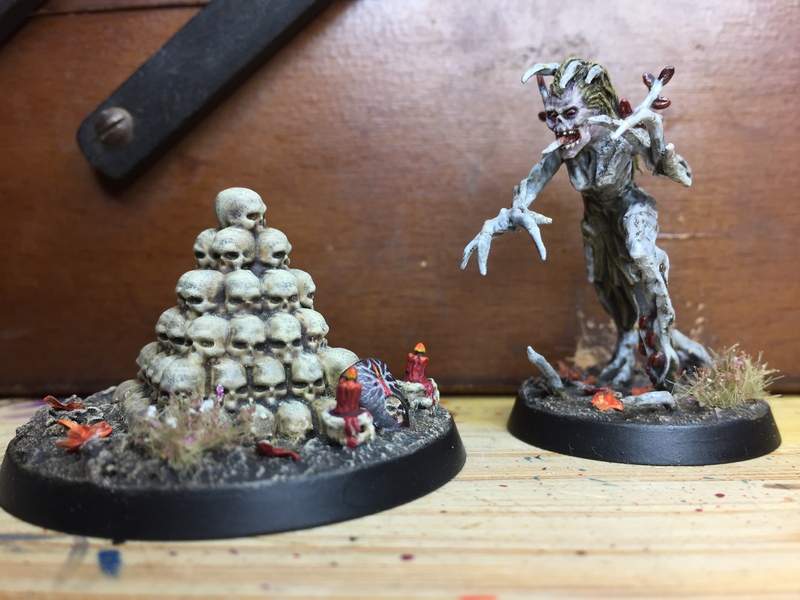 Nice work, the dryad is very creepy indeed and definitely I would thought it was silver birch without reading your description – so good work! Excellent! 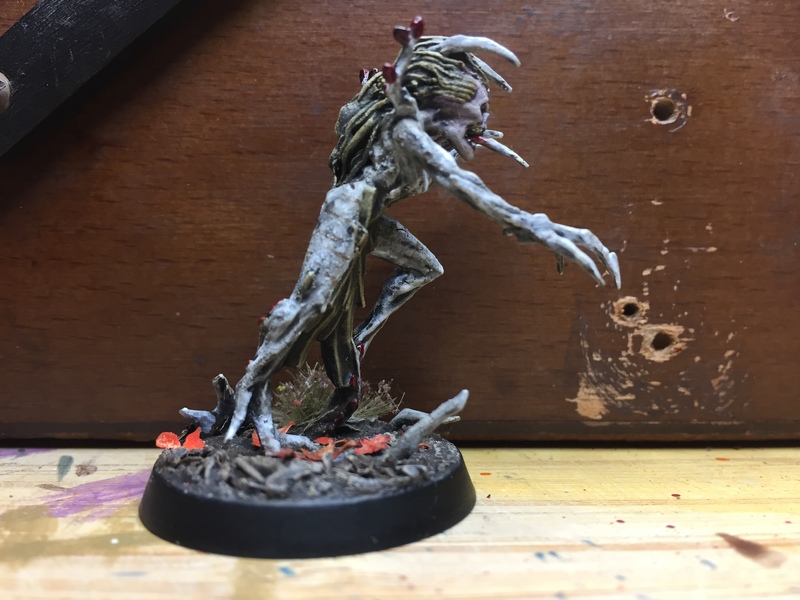 Loving the tree daemon idea. 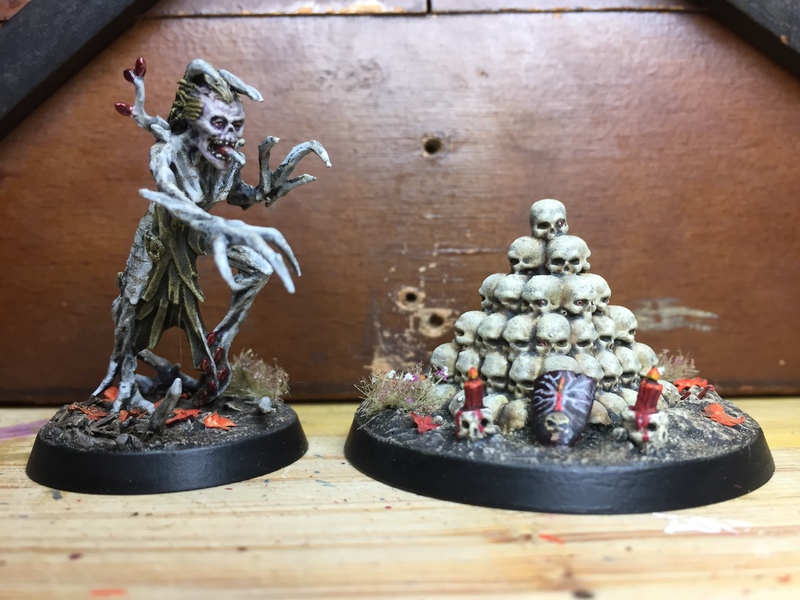 I’m starting work on the Albino woods board soon and can’t wait to see what ideas you come up with. Thanks mate – and cool! I’m going to be working on trees at some point – maybe we could coordinate? I’ve got an image of diseased silver birches in my head, blood-red leaves, dark mulchy floor, nasty thorny undergrowth… and bones… lots of bones… trees stuffed with skulls, random fetishes, evidence of sacrifices & rituals… Blair Witch meets Game of Thrones. What is your vision for this? Well you know what they say of great minds :) Yes mate that would be awesome. I have IRO creating some town buildings for the board and he will be sending them over. I will be drawing up a map of the board so I’ll send you a copy. It all looks so good! The forest demon is bloody excellent and so creepy. 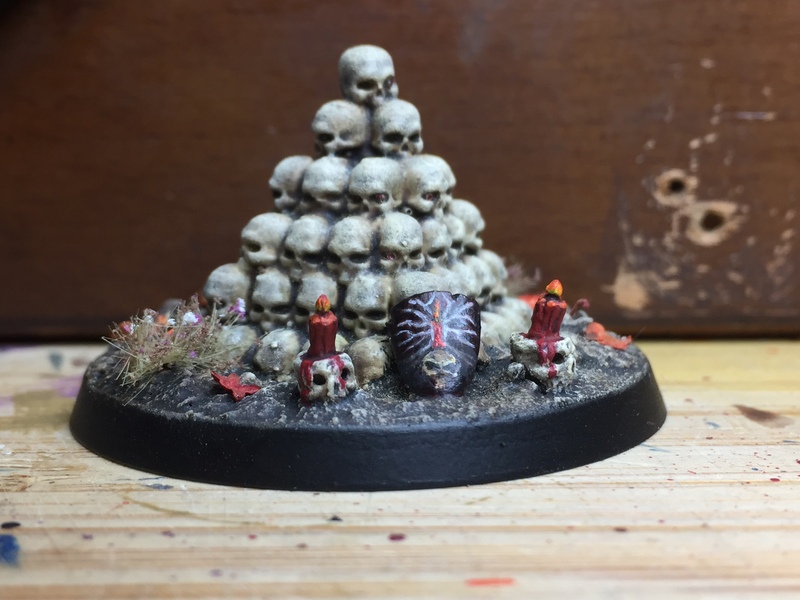 Nice work on the shield as well – one for the really tiny brushes I reckon! I bet her bite is worse than her “bark@ 😜 Great work my friend. Good choice of head. The freehand work on the shield is brilliant!! I can’t wait to see more. 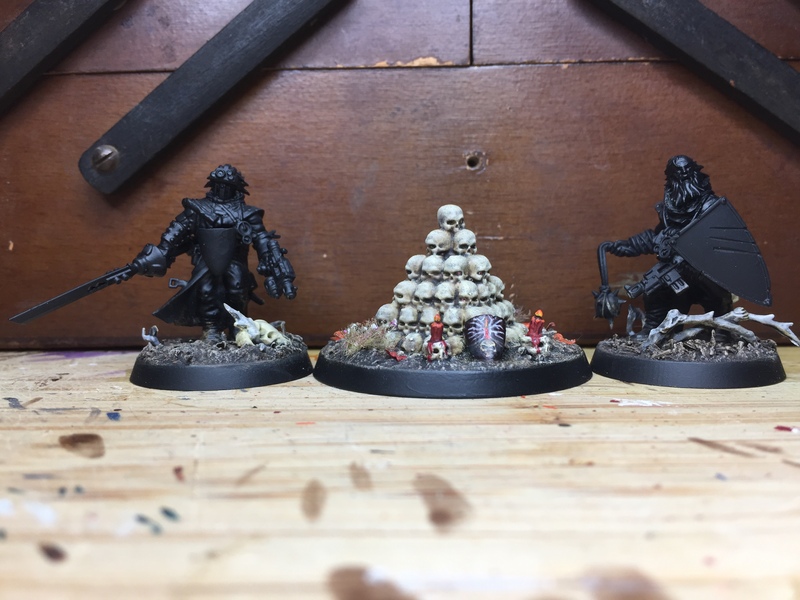 I’ve been a little quiet on the hobby front but after viewing this and a couple of other posts I’m feeling pumped. *groan* ;-) Thanks dude, glad you like – ’twas fun cutting loose a bit and doing some experimenting. Glad you’re fired up bro, unleash the crazy! Absolutely. I’d be off my tree not to. Question is… if she fell over but there was no one around to hear her, would she make a sound??? Ahhh!!! I really like the choice of colours and how it all turned up. Yes it all did turn out very well as the others have said. Very well done.